Smoothing: Aqua (Water) with Fucus Vesiculosus (Bladderwrack Seaweed) Extract, Aloe Barbadensis (Aloe) Leaf Juice, Cetearyl Alcohol, Glyceryl Stearate, Stearylkonium Chloride, Argania Spinosa (Argan) Oil, Borago Officinalis (Borage) Seed Oil, Brassica Oleracea Italica (Broccoli) Seed Oil, Simmondsia Chinensis (Jojoba) Seed Oil, Cocos Nucifera (Coconut) Oil, Panthenol (Pro-Vitamin B5), Persea Gratissima (Avocado) Oil, Linum Usitatissimum (Flax) Seed Oil, Hydrolyzed Barley Protein (gluten-free), Olea Europaea (Olive) Oil, Hydrolyzed Soy Protein, Vegetable Glycerin, Citric Acid, Citrus Sinensis (Orange) Essential Oil, Quaternium-91, Cetrimonium Methosulfate, Gluconic Acid (plant derived), Cetrimonium Chloride, Tocopherol (Natural Vitamin E), Amodimethicone, Citrus Reticulata (Mandarin Orange) Peel Extract, Sodium Benzoate (natural version), Potassium Sorbate, Vanilla Planifolia (Vanilla) Extract. 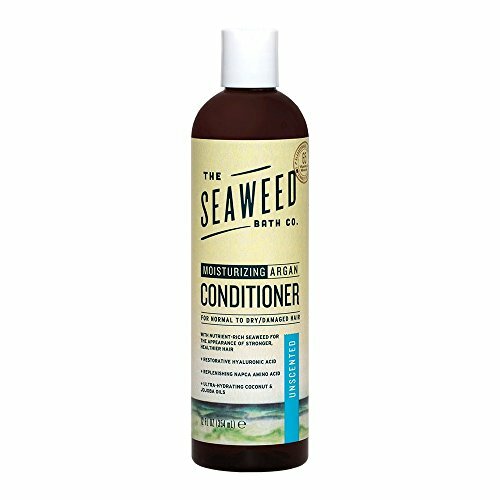 Volumizing: Aqua (Water) with Fucus Vesiculosus (Bladderwrack Seaweed) Extract, Aloe Barbadensis (Aloe) Leaf Juice, Cetearyl Alcohol, Glyceryl Stearate, Stearylkonium Chloride, Argania Spinosa (Argan) Oil, Hydrolyzed Barley Protein (gluten-free), Cocos Nucifera (Coconut) Oil, Olea Europaea (Olive) Oil, Panthenol (Pro-Vitamin B5), Hydrolyzed Soy Protein, Persea Gratissima (Avocado) Oil, Vegetable Glycerin, Citric Acid, Cetrimonium Chloride, Gluconic Acid (plant derived), Simmondsia Chinensis (Jojoba) Seed Oil, Tocopherol (Natural Vitamin E), Sodium Benzoate (natural version), Potassium Sorbate, Lavandula Officinalis (Lavender) Essential Oil. Balancing: Aqua (Water) with Fucus Vesiculosus (Bladderwrack Seaweed) Extract, Aloe Barbadensis (Aloe) Leaf Juice, Cetearyl Alcohol, Glyceryl Stearate, Stearylkonium Chloride, Argania Spinosa (Argan) Oil, Panthenol (Pro-Vitamin B5), Simmondsia Chinensis (Jojoba) Seed Oil, Cocos Nucifera (Coconut) Oil, Persea Gratissima (Avocado) Oil, Hydrolyzed Barley Protein (gluten-free), Hydrolyzed Soy Protein, Olea Europaea (Olive) Oil, Vegetable Glycerin, Citric Acid, Gluconic Acid (plant derived), Tocopherol (Natural Vitamin E), Sodium Benzoate (natural version), Eucalyptus Globulus (Eucalyptus) Essential Oil, Potassium Sorbate, Amodimethicone, Mentha Piperita (Peppermint) Essential Oil. Moisturizing: Aqua (Water) with Fucus Vesiculosus (Bladderwrack Seaweed) Extract, Aloe Barbadensis (Aloe) Leaf Juice, Cetearyl Alcohol, Glyceryl Stearate, Stearylkonium Chloride, Argania Spinosa (Argan) Oil, Hyaluronic Acid (potato starch), NaPCA (amino acid), Simmondsia Chinensis (Jojoba) Seed Oil, Cocos Nucifera (Coconut) Oil, Panthenol (Pro-Vitamin B5), Persea Gratissima (Avocado) Oil, Hydrolyzed Barley Protein (gluten-free), Olea Europaea (Olive) Oil, Vegetable Glycerin, Citric Acid, Quaternium-91, Cetrimonium Methosulfate, Gluconic Acid (plant derived), Sodium Benzoate (natural version), Hydrolyzed Soy Protein, Potassium Sorbate, Amodimethicone, Tocopherol (Natural Vitamin E).